So I have been ignoring you my dears, but for a good cause. I have been searching and searching for a book for my lovely BAN which is not a picture book but will not spoil Santa for her. Yes, my wonderful 10-year-old is still a believer. So I have one more year when Mrs. Claus stops by the night before the night before Christmas and leaves new PJs and new sleep socks and a book. It is always a Christmas book and has lead to us having quite a wonderful collection of beautiful, funny, silly, books. Tomorrow or the next day I will post our favorites, but today I was looking for something a bit more than a picture book but not quite A Rumpole Christmas: Stories. And if one more person suggested that I give any of my hard earned money to Glenn Beck by buying his book The Christmas Sweater I was going to explode. But finally, I found it and it is perfect: [amazon_link id="1416948163" target="_blank" container="" container_class="" ].[/amazon_link]. 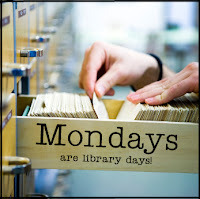 Oh and also, today is library day. I got quite the haul since I am going to hole up and read for days and days. Ok maybe not but I will not be going back for a while so I got some stuff that I have had on my TBR pile for ages. OK and two that I found in the new YA stack. So I got Ruined: A Novel by Paula Morris, The Maze Runner (Book 1) by James Dasher, The Wishing Year: A House, a Man, My Soul A Memoir of Fulfilled Desire by Noelle Oxenhandler, Darkness Visible: A Memoir of Madness by William Styron, and Godmother: The Secret Cinderella Story by Carolyn Turgeon. I also got Deadly Little Lies (A Touch Novel) and Linger (Wolves of Mercy Falls, Book 2) but discovered when I got home they are a sequels and I will have to take it back and get the first.